Holy moly- July is nearly here! July is pretty much one of my favourite months (just behind August and December) because hello! Summer holidays! This year, entering July is not quite as exciting as usual since I've already been off for the past few weeks but I'm still going to be making the most of the summer days! Every single year in July and August, my views shoot right through the roof. 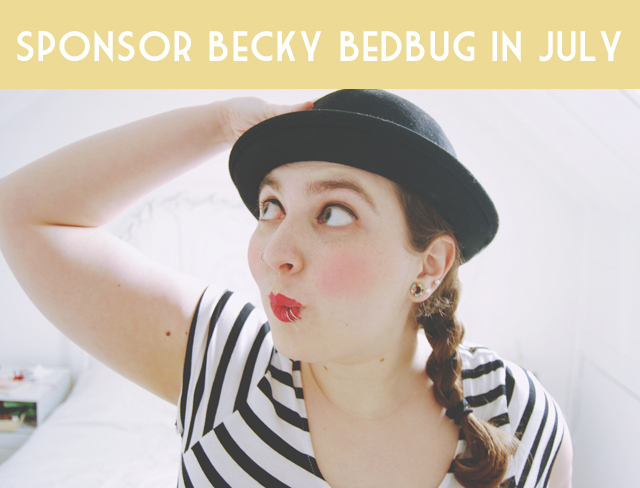 They're always the best time of the year for the blog so it's the perfect time to sponsor. I've had a frankly amazing June and, for the first time this year, have hit my Bloglovin' target (not to mention the fact that I'm currently approaching my Twitter target for September already!). Want to get in on the action? Course you do! For all the details on pricing and what you get, check out my sponsorship page here. Pssst: If you're really quick and book your ad spot before 1st July, you can get my birthday discount of 27% off with the code BIRTHDAY!